Highlander and Sienna are Named Kelley Blue Book "Best Family Vehicles"
Kelley® Blue Book's KBB.com has released their annual roster of the vehicles that have won their "2017 Best Family Vehicle" awards, with Toyota seeing two models take home wins in their respective categories. Since both the Highlander and Sienna offer a compelling combination of storage capacity and family-friendly amenities, they deserve serious consideration by anyone looking for a new family driver. The 2017 Toyota Highlander placed first in the "Best 3-Row SUV for Families" class, earning praise as "the industry standard" for three-row vehicles. The 2017 Toyota Sienna received top honors for the "Best Minivan" category in part due to its class-exclusive features and available all-wheel drive. KBB.com assesses and determines the vehicles that best suit the needs of modern families, placing emphasis on such vital factors as value, comfort, convenience, driving behaviors, safety, cargo versatility, technology, reputation and how forward- and rear-facing child safety car seats fit. 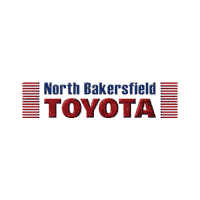 To discover more about the award-winning Toyota models, contact North Bakersfield Toyota and talk with a knowledgeable member of our team. 0 comment(s) so far on Highlander and Sienna are Named Kelley Blue Book "Best Family Vehicles"